What we billed last week as the most high profile round of Asian international football since the Asian Cup, lived up to the hype – not necessarily in terms of the quality, which was there on occasion, but in the form of tight tense affairs with matches coming down to odd moments of inspiration or elements of misfortune. Looking back on a critical week of World Cup qualification Martin Lowe assesses whether we’re any closer in deciding which Asian nations will represent the continent in Russia 2018. An impressive record of 9 wins and 3 draws from 12 matches, sets the scene for a dominant World Cup qualification campaign which continues to rumble on for Carlos Queiroz’s Iran national side. Team Melli may have finished September on a slight disappointment, drawing 0-0 away in China, but back-to-back 1-0 wins this week sees them return to the top of their qualifying group as we draw closer to the half way point of the stage. This period was immediately pinpointed as the critical stage of qualification once the schedule was drawn up; an away match against current leaders Uzbekistan on the Thursday, before hosting Asian Cup finalists South Korea five days later. This may have not been a period that would put them clear in qualification but it could seriously derail their chances if it went against them. Any doubts were put to bed in a truly solid week, which saw them collect another two clean sheets to add to their impressive 7 in a row in WCQs, a formidable bedrock to set up their final stage campaign. 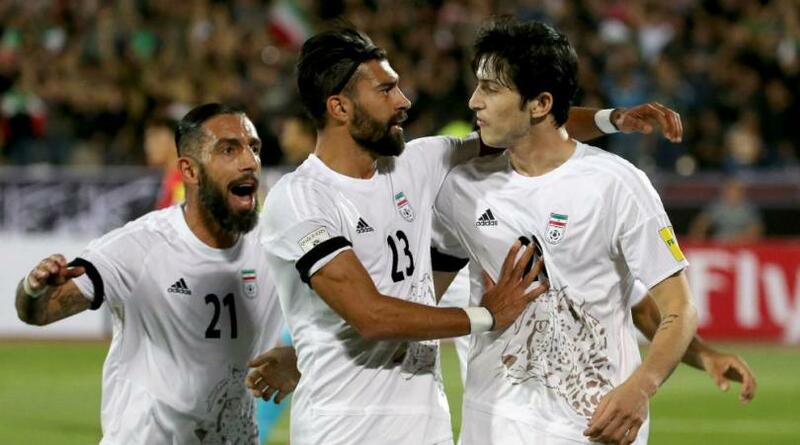 While we saw some inventive interplay in attack, through the inform duo of Alireza Jahanbakhsh and Sardar Azmoun, the fact Iran couldn’t add to their lead in both ties didn’t matter too much, as has become a notable trait of Querioz’s side, they remained firm at the back. If there's one thing I would never choose to do, it's falling behind against a Carlos Queiroz side. In each qualifier this hasn’t meant that they simply sit back for long periods to hang onto their slender leads, not at all. Each game has been perfectly managed, attacking when on top, shoring up defensively when on the back foot. The full backs have been urged to push on where possible, as was the case when Ramin Rezaein flew past his opposing full back to assist Azmoun for the winner against Korea, while the wingers have been equally accommodating working back defensively. All this comes alongside a talent base which is still in its infancy. Iran have long missed some creative spark in the final third, and with Jahanbakhsh, you may not have the finished article but he can clearly turn a game on its head against any opposition at this level. The chemistry of youth (Rostov pair Azmoun and Eztahouli) alongside experience (Dejagah and Hajsafi) is a relationship that has brought them through both encounters with poise and effectiveness, without feeling the burn of the opposition, particularly through Son Heung-Min, who was kept immensely quiet in Tehran. With a run of favourable games to come, and murmurs of infighting within the Korean camp, you could suggest Iran already have one foot in Russia. I’m sure even the IFF can’t derail this dominant campaign. Australia came into October as the form team in Asia, they may finish the week a tad deflated but in the same regard thankful that they remain in a solid position in terms of qualification. An away trip to Jeddah to face Saudi Arabia followed by a home encounter with Japan was the sort of opportunity to really cement themselves as the top dogs in the AFC, a tag line that is a shade blurrier after back-to-back draws. In truth it could’ve been worse, Matt Ryan, as he has done countless times before saved them in both encounters; denying Fahad Al-Muwallad in a clear one-on-one opportunity on Thursday before expertly clawing away Yu Kobayashi’s header in Melbourne on Tuesday. Both matches in the end were frustrating affairs for the Socceroos, something they’d better get used to, given every Asian side they’ll come up against from now on will primarily try to stop them from playing. While Saudi Arabia started off on the front foot, expertly deploying a high pressing game immediately, the Samurai Blue (who of course had the away disadvantage compared to the Green Falcons) sat back further than we’ve ever really seen from a Japanese side in Asian qualification, but to great effect. Given the difference in confidence between the two sides going into the match, Halilhodzic’s tactical master plan should in fact be praised higher. Ange Postecoglou reverted back to the tried and tested 442 diamond, a system that lacked penetration and left strikers Tomi Juric and Apostolos Giannou static and isolated for much of the encounter. It was also arguably Aaron Mooy’s weakest match since bursting back onto the national scene last year, drifting to the peripheries too often rather than dictating play from the centre. Australia’s recent successes in using this formation have come through their marauding full backs. While Brad Smith fits the bill perfectly on the left, Australia still miss an Ivan Franjic type of player down the right to complement the team shape. Mark Milligan (a mere defensive stand in against Saudi Arabia) and Ryan McGowan (against Japan) offered little going forward. The Japanese deployed the correct system on the day, and could feasibly have held out for longer, but for giving away a clumsy penalty. The use of Keisuke Honda as a “false nine” worked well, if only for his undoubted talent and experience which saw him hold the ball up enough for the defence to take a rest. The worrying exception again was Shinji Kagawa, who performed below his true talents, being put in the shade by player of the moment Genki Haraguchi who scored for the third qualifier in a row. While the match lacked the fizz and verve that we’d all hoped for, the fact that Japan came into this lacking form, the match was still a tightly fought contest. Both now lie in behind surprise leaders Saudi Arabia in Group B with one game to go in this calendar year and until the stage’s half way point. Japan will host the Green Falcons in Saitama come November, knowing they’ll have to go for all three points this time around. While Gao Hongbo’s last minute appointment in Round 2, spurred a momentary lift to the Chinese national squad, it was clear that it wasn’t ever going to be a long term solution to a team that clearly needs to retrace its steps if it’s ever going to improve. Their solitary point (against leaders Iran no less) from their two matches in September was met with realism given the quality of opposition on show, but the October internationals were where China needed to really get their Round 3 campaign up and running. Two defeats from two this week against Syria and Uzbekistan, made Gao’s resignation inevitable, as the country’s fans started to question the country’s footballing hierarchy. Gao made 5 changes ahead of Syria on Thursday from the side that drew with Iran last month, before making another 7 for Uzbekistan away on Tuesday, including using a third different keeper in as many matches. The direction of the team seemed disjointed, from wheeling out an ineffective 3 at the back system for much of the match against Syria, to dropping two of their most promising attacking players Huang Bowen and Yu Hai from the side that faced Uzbekistan. There were examples of bad luck, but more often than not poor individual plays (Gu Chao’s miskick to meet eventual goal scorer Mahmoud Al-Mawas for Syria’s winner was almost comical) cost China dearly. Now I’m not saying that China should expect more, after all they scraped through Round 2 arguably undeservedly over a promising looking Hong Kong side, but the amount of changes and a lack of direction is a concerning outlook. If we were seeing similar results with a stable philosophy of play, or at least putting some confidence in some of the country’s brightest younger players (neither Wu Lei and Zhang Yuning started both games), you’d assume there was something worth building upon up to the next World Cup cycle. But in the end Gao looked like a man desperately hanging on to his job, a job in practice where he was always going to struggle to turn the current side into continental class players overnight. There’s been a lot written about the mythical “crisis” within Chinese football over the last few months, but over the last week it looks like some are starting to believe it within the country. A nation’s game isn’t built in a year, it takes decades to be fully realised. Results are a long way off, what’s needed is direction and a cool head within the CFA. The next appointment whether it be from inside or out, needs to be a long term appointment that is thinking about building towards the Asian Cup in 2019 and beyond, rather than a World Cup qualifying campaign that had ended before it had even begun.